When you are a sports fan, there is nothing quite like the thrill of seeing your favourite teams do battle with the best of the best on an international level. Fortunately, eSports offer its followers a number of opportunities to see sides compete against each other on a global scale. While it is hard to single out particular events as the key ones to watch, here at Master Mazuma we are long-time fans of the sheer excitement that can be seen at IEM Katowice. In this article, we take an in-depth look at the tournament and provide some points on how you should prepare for IEM Katowice betting. The IEM – or Intel Extreme Masters – was first launched in 2007 and has recently held its 11th season of action. The Electronic Sports League-sanctioned tournament series is owned by Turtle Entertainment and sponsored by, as you may have guessed, Intel. 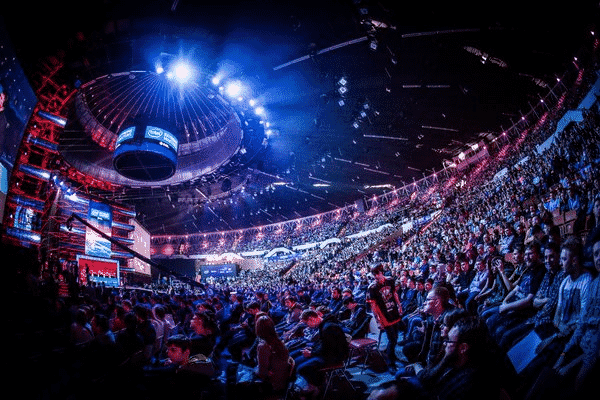 IEM hosts events across the globe which then lead up to the World Championships held in Katowice, where the very best teams compete for a share of a major prize pool. While the IEM series was initially focused on Counter-Strike, it has gone on to include tournaments in other games down the years including StarCraft II, Quake and League of Legends. Away from the eSports action, IEM Katowice also tends to host an Expo and a cosplay competition. One of the first issues to consider when planning your IEM Katowice betting is just how tournaments held at the event tend to work. In order to do this, we will look back at the recent World Championships held in February and March 2017 which included competitions based around League of Legends, StarCraft II and Counter-Strike: Global Offensive. A total prize pool of $650,000 was shared between the tournaments, with the format varying depending on the game. League of Legends saw two groups of four teams do battle, with the best two from each coming together in playoffs to compete in best-of-three semi-finals and a best-of-three grand final. In contrast, the Counter-Strike competition involved a round robin with two groups of six. The first-place team in each advanced to the semifinals, while the sides in second and third met in the quarterfinals. The top two teams then met in a best-of-five final. Finally, StarCraft II started with four double elimination brackets of 16 players each, with the top 12 players advancing to the next round to meet 12 more from online qualifiers. This round of 24 consisted of four groups of six players, with the top three players advancing to a 12-team single elimination playoff bracket. Finally, the top players did battle in a best-of-seven final. Understanding the competitions that lie ahead is a key part of preparing for IEM Katowice betting, but there are a host of other issues for you to consider too. Ultimately, it is important to remember to treat eSports like any other sport – think about the same issues as you would when betting on the Superbowl or a major soccer tournament. With this in mind, it is good to know the top teams involved in each of the events which are set to take place at IEM Katowice. Some of eSports’ biggest organisations have teams which make this event, so no doubt this will be yet another competition where you see the likes of Fnatic, Luminosity Gaming and SK Telecom T1 mentioned. Looking at IEM Katowice 2016, Taiwanese side Flash Wolves beat G2 eSports in the League of Legends final, while Danish team was successful against FaZe Clan in the Counter-Strike competition. Finally, it was an all-South Korean affair with TY winning out against Stats in the StarCraft II final. With events running throughout the year, it is important to keep tabs on how the best teams in each discipline are doing in the months before IEM Katowice is held. You can get a feel for this by watching their matches via streaming services like Twitch and also monitoring the latest performance stats found online. This will allow you to really get to grips with their strengths, weaknesses and how ultimately they may compare when the World Championships come around. Still, it is important to remember that eSports is an ever-changing world and it is not often that teams stay the same from season to season. With this in mind, make sure you are aware of any roster changes in recent months. Has a team lost a key player and if so, could it impact on their chances of glory? Or will a new rookie who has been taken on turn out to have what it takes to fire them to success? On a similar note, ensure you are well aware of the latest goings-on behind the scenes. While reports of a fallout between certain players might be viewed purely as rumour and speculation by some, there is often no smoke without fire. Could a relationship breakdown within a camp seriously impact on their chance of success? Finally, think about whether it would be wise to focus on betting related to just one of the three tournaments at IEM Katowice, or whether to consider odds on each of the competitions. There are pros and cons to each, as while getting to know one event inside out might prove fruitful it may mean you miss strong odds in one of the other tournaments. This is something you should carefully consider. There are some pretty big dates in the eSports calendar and IEM Katowice is undoubtedly one of them. Offering incredible tournaments for some of the greatest titles played in eSports today, the event is simply one not to be missed. At Master Mazuma, we live and breathe eSports, which is why we have specialist pages outlining all of the latest information and odds you need to know about the next competition. Head over there now to immerse yourself in the joys of IEM Katowice betting.